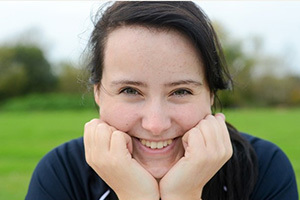 19 year old Phoebe Pine, has recently been confirmed on the Archery GB World Class Programme, as a member of Team GB. In response to some questions, Phoebe has kindly shared a few insights into what got her interested in the sport, and what inspires and drives her to succeed. 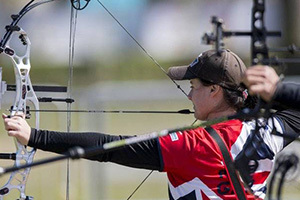 I first became interested in archery after the 2012 games, around about the time of the Olympics. I was on holiday with my family and tried archery then, something in my head clicked when I shot and it just felt natural and right. I immediately wanted to carry on shooting and didn’t want the session to finish. As soon as I got home my family and I found a local club for me to join and that’s what started things off really. What have been your first impressions of the World Class Programme? Having been a part of the Paralympic Academy for GB since it first started I know how the system works. I’m used to the amount of training involved and the arrows volumes, transitioning to the World Class Programme hasn’t given me any surprises really. The only big difference is I train away from home for two days a week now, where as before I would have been training away from home maybe every month or so. My training regime means I shoot 4-5 times a week anyway so I was used to having to train a lot before, but there’s just more travelling involved now. I am really proud to be a part of such an amazing team and be surrounded by experienced and knowledgeable people who can help guide me on my journey. 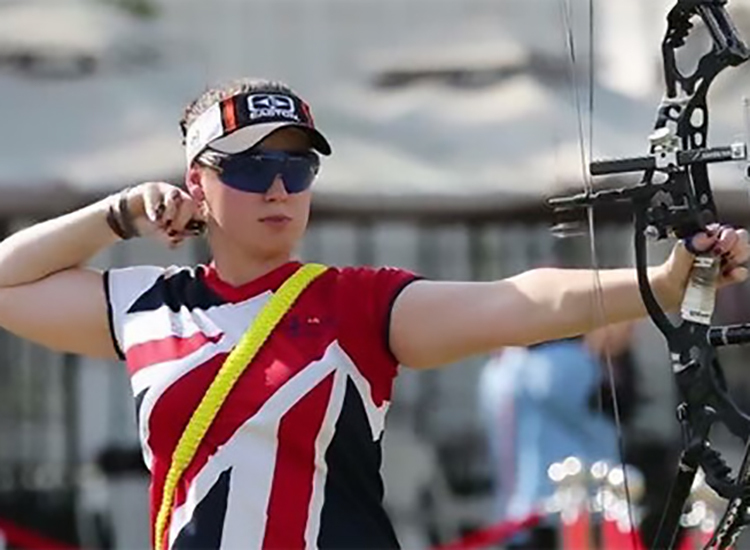 It means a lot to me that Archery GB have the belief in me to enable me to join the team. How did it feel when you put on a Team GB shirt for the first time? I was 17 years old when I put my first GB shirt on, I couldn’t really put words to how I felt and the pride I felt. I had worked so hard to be selected to compete in Holland and I performed well during my selection event – I’m proud to have earned my shirt from the dedication I put into my sport and the hard work I did leading up to selection. How do you keep motivated when training? It can be hard sometimes, to train if the weather is bad or if I’m really not feeling it but to keep myself motivated I just remind myself of everything I want to achieve in the sport and how, in order to do that, I need to work hard. I need to put the time and dedication into it. I admit to having days where I wake up and I don’t want to shoot but everyone has those days, if you’re truly motivated to achieve your dream though you fight through it, which is what I do. What is your biggest source of inspiration to perform? My biggest source of inspiration to shoot is my mum, I know she’s really proud of me and I want to make her proud since she’s been through so much with me especially through the rough periods caused by my disability. She’s the one person I love the most in the world and I want her to be there to see me win that medal at Tokyo. Who is your biggest supporter and encourages you the most? I don’t really have a ‘supporter’; I have more of a team behind me. My family support me a lot in what I do like my parents drive me to training every week as I’m still learning to drive, my dad takes me to training locally when he’s home from work and mum does the best she can for me as well. My friends support me in that I have my own mini cheer squad behind me and my best friend will text me every time I’m about to head to a shoot, wishing me well. I get a lot of encouragement from a lot of places. 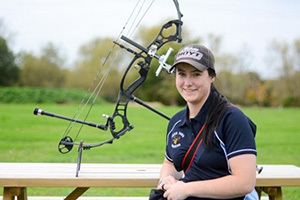 Phoebe is now travelling to Telford twice per week for her GB training sessions, in addition to her training in Gloucester at Deer Park Archers and is preparing for the World Championships, which are being held in Beijing in September. Her ultimate goal is to compete at the Tokyo 2020 Paralympic Games. Phoebe hopes to join Worcester University in October to study Sports and Exercise Science and we wish her the very best in all her endeavours.